Join me as I venture forth into Georgia’s 6th district! 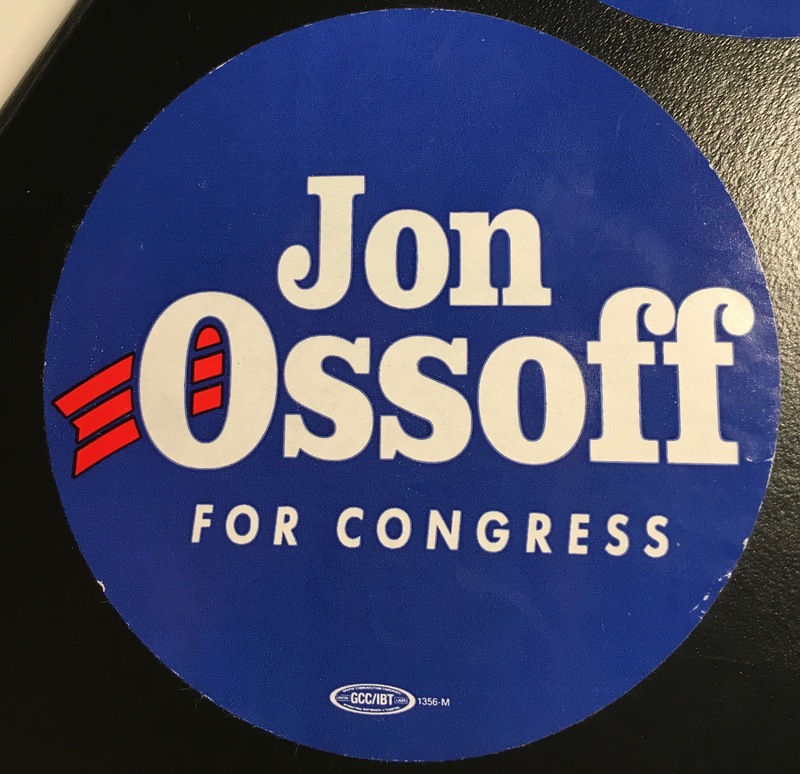 Yes, your intrepid podcasting friend hopped on a plane, and went to canvas for Jon Ossoff in the final weekend before the big election! This episode is about my experience—a blue state democrat in a red state republican district. I realized in the editing of the show….which is, in the main, about the special election—- that it is actually about a much bigger picture. So, here’s a disclaimer….this episode IS about the Ossoff campaign, but it is also in many ways the experience I had, bumping into a culture that is manifestly different then my own. If I offend anyone at all, I’m deeply sorry. If I seem condescending or smug in my Blue State Elitism….I am even MORE sorry. I have tried to tell the story of my time there….and what it was like to drop into a world where the act of canvassing door to door in an affluent Republican stronghold felt like those who were doing it were taking a true risk. Was it like marching across the bridge in Selma? No, obviously it was not. But…I’ve lived all my life in places where my idea of justice, of the law, of spirituality, of community—was inclusive, color blind, and had the stated and implicit goal of being fair. To suddenly be operating in a land where the underpinnings of the society are so different—-was a shock. I know this election didn’t turn out as we wanted….but….this episode is all about the inspiring democrats I met and worked with. Listen in and vicariously experience the excitement, the ups, the downs, and the hopes the locals have for the future of this once solidly Republican bastion. I promise…you will feel better after you tune in.